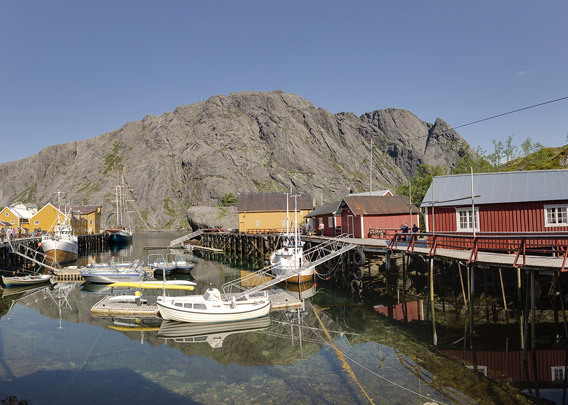 Many visitors will agree that Nusfjord is one of the most beautiful places in Lofoten. 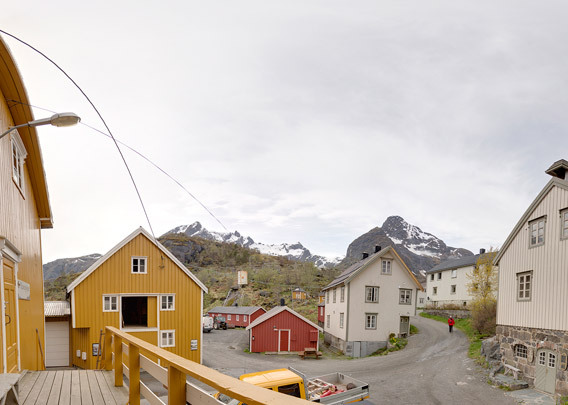 As many other settlements in Lofoten, Nusfjord has been a locally important fishing harbour for centuries. No surprise, as it is situated at a bay called Nusfjord, which is not only very scenic, but also a well-sheltered natural harbour. In historical times, fishers coming for the seasonal cod fishery would stay in the traditional „rorbuer“, which are today sought-after acommodation for tourists, who come in thousands every year to enjoy the charme of the place with its old wooden houses from the late 19th and early 20th century, the scenic surroundings, the sea and the ever-changing weather. 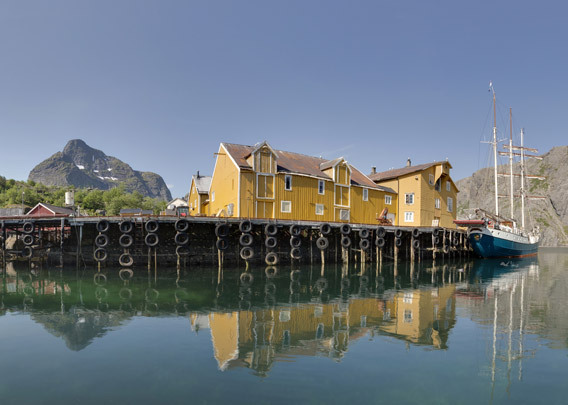 Nusfjord was selected as one of three places in Norway by the UNESO in 1975, the year dedicated to the protection of traditional architecture, as a project to preserve the intact composition of traditional buildings. 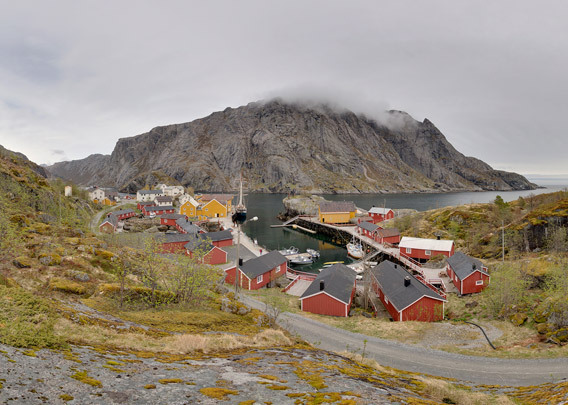 It is, however, not true that Nusfjord is on the UNESCO world heritage list. View over the little fishing village of Nusfjord on the island Flakstadøy. 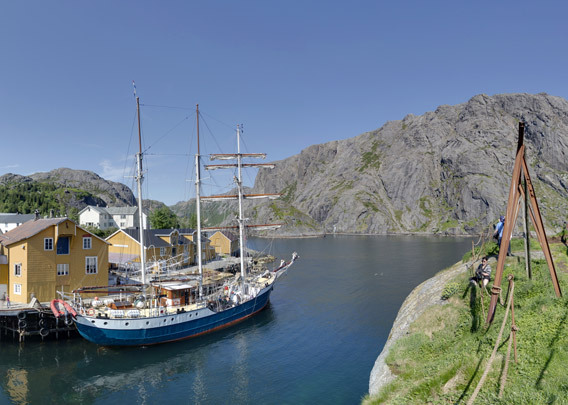 The little harbour of Nusfjord is accessible only for smaller ships. The whole village is organized around the harbour, which used to be the centre for all activities. Old loading cranes, or rather unloading cranes, near the harbour. 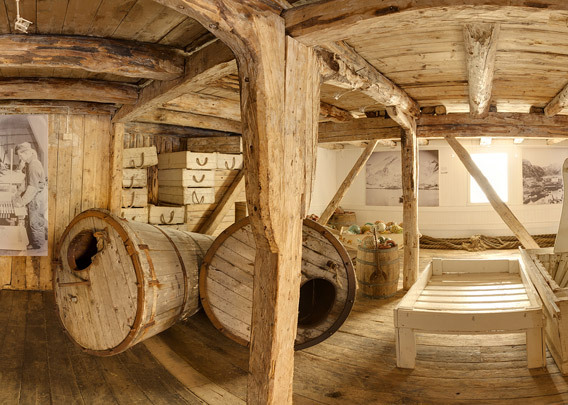 They were used to unload fish, which was then put onto the drying racks to produce the famous stockfish. 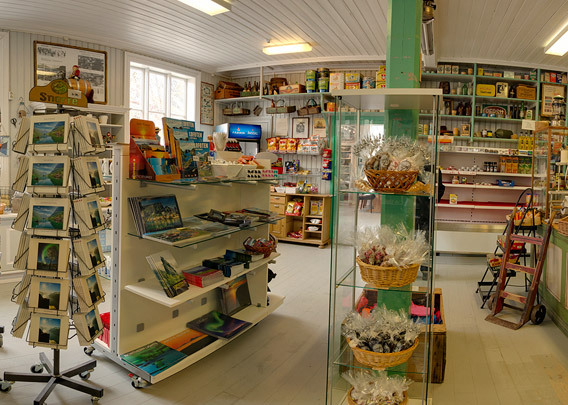 The old shop (Landhandel) is the centre piece of the museum, which the historical part of the village has been turned into. The old interiour has been preserved and hence also the charme of the old times. You get souvenirs, coffee and cake. Not to be missed! The old storage hall is now part of the museum. There is a number of Rorbuer around the harbour and a bit further away. Rorbuer are huts that are standing on wooden poles on the water edge. In the old days, Rorbuer were simple accommodation for fishermen. Today, they are sought-after accommodation for tourists, some of them with a very high standard.